CHOOSE FROM A COLLECTION OF OUR MOST LUXURIOUS SPA SERVICES, DESIGNED TO PROVIDE A FULL OR HALF DAY EXPERIENCE. IF YOU ARE CHOOSING A GIFT, PLEASE NOTE THAT THE RECIPIENT MAY USE THE FULL DOLLAR VALUE OF THE PACKAGE TOWARD ANY SERVICES OR PRODUCTS OF THEIR CHOICE. 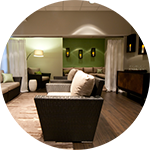 Illuminating facial, Aromatherapy 80 min massage, Spa manicure, Spa pedicure, Spa lunch. Serenity facial, Tension Tamer massage, Spa manicure, Spa pedicure, blowdry. Serenity 50 min massage, facial, manicure, pedicure. 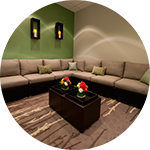 Gentlemen"e;s facial, Enhanced Therapy 50 min massage, manicure. Side-by-side couple massages in couple’s suite, Serenity facials, manicures and pedicures. *Package pricing does not include gratuity but you may add a customary 15-20% gratuity to your gift.